It has been a long and winding road for Jerry Lawson since he called it a day with the Persuasions in 2003—four decades and 22 albums after the group had convened “down on Fulton Street in Brooklyn,” harmonizing “in the subway, in lobbies and in halls, even in the doorways, singing doo-wops to the wall,” as they sang in their personalized version of Kenny Vance’s “Looking for an Echo” (the signature song from their most celebrated album, 1977’s Chirpin’). That road has taken him to a brief tenure with another vocal group, Talk of the Town (see the April 2010 review in TheBluegrassSpecial.com); dalliances with jazz combos and big bands; a tribute to the Rev. Claude Jeter and a Hurricane Katrina benefit with Rod Stewart; even an appearance on NBC’s The Sing-Off. And since relocating to Arizona several years ago he’s been working with developmentally disabled children, a calling that has brought him more satisfaction than almost anything else he had done professionally. Noticeably absent from his resume, lo these many years: a solo album. It seemed the most natural evolution for a singer the critic Rip Rense has accurately pinpointed as one of the past half century’s greatest vocalists. What was he waiting for? Perhaps he was waiting for roots great Eric Brace, whom he met some15 years ago and with whom, at that time, he vowed to do a project. They went their separate ways, pursuing their own career goals (Brace has become almost a regular fixture in Deep Roots, both for his wonderful duo records with his Red Beet Records partner Peter Cooper and, last year, for a conceptual album he fashioned with another compadre, Karl Straub, Hangtown Dancehall, #8 on the Deep Roots Elite Half Hundred of 2014). Or Brace was waiting for Lawson. No matter: it has finally come together, and gloriously so. Lawson, at 71, no longer possesses the dynamic, muscular voice that seemed handed down to him from the Rev. 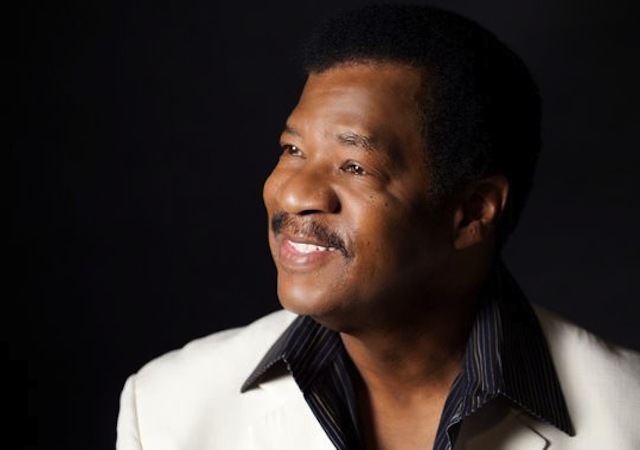 Julius Cheeks and Wilson Pickett and… but he’s not trying to be that Jerry Lawson either. 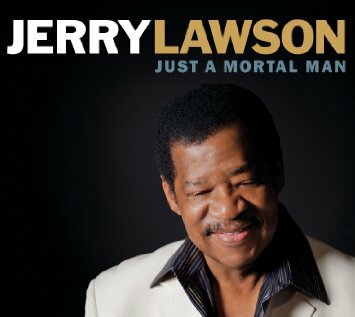 Instead, nuance, subtlety and richer emotional textures have moved in, much as they did with the mature Bobby Blue Bland, and his long-awaited first solo album, Just a Mortal Man, impresses as the gem Lawson fans knew he would deliver. The 15-year wait for he and Brace to get together turns out to be worth it, because Brace the producer understands Lawson as he should be understood—as a great stylist with an infallible instinct for the essence of every song he sings, and indeed, as he did with the Persuasions, so putting his stamp on his borrowed material that you could almost forget the original recordings ever existed (ever hear the Persuasions’ version of “Dream,” the Everly Brothers classic? 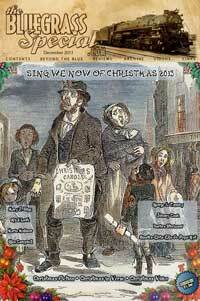 Only a singer of Lawson’s stature could make you believe his might well be the definitive version.). Fact is, Mortal Man is more than an album title. During the recording sessions, Lawson fell ill with what became a near-lethal infection. 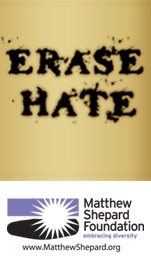 “We’re lucky he’s still here!” Brace said in a note to your faithful friend and narrator. He remains in recuperative mode but is back on the boards now, playing select concert dates. Ain’t that good news, man, ain’t that news? About those covers, consider the leadoff track: “Peace Like a River” is one of Paul Simon’s finest hours as a songwriter and solo artist, but Lawson’s stirring but solemn hymn-like reading, bolstered by folksy acoustic guitar, subdued keyboards and nuanced electric guitar, includes a preacherly recitation asserting everyone’s right to social justice, making it impossible to hear without it evoking the issues boiling over in post-Ferguson America (the way he gently dramatizes the lyric “nobody knew if the plans were changed’ will bring chills). It becomes Lawson’s song. Take Sam Cooke’s 1957 swooner, “I’ll Come Running Back to You.” It’s only Lawson’s smooth voice and Brace’s rich, unadorned acoustic guitar and harmony vocal on the track, but the former casually dominates by investing the lyric first with palpable remorse for chasing his woman away and then a hopeful patina in his willingness to patch things up if she’ll only reconsider. Taking a song away from Sam Cooke is no mean feat, but Lawson’s balancing of contrasting emotions enhances the emotional complexity you might have missed in the original’s sweetness. It’s also a song the Persuasions cut in their younger years, but here the more seasoned singer burrows far deeper into the emotional conflict the lyrics outline. It too becomes Lawson’s song. The title track is another occasion for Lawson to revisit and reimagine his past with the Persuasions. On the group’s essential 2008 album Comin’ At Ya, the song “I’m Just a Mortal Man” (originally cut by David Ruffin in 1973, herein included as “a tribute to my man David Ruffin,” as Lawson writes in his CD notes) is a rousing, fire-and-brimstone workout with Lawson commanding the pulpit, ceding nothing to time in the thrust of his vocal attack and attitude. In 2014, when these sessions were held, the artist does cede his mortality, but with dignity and even a sense of humor: the arrangement straddles southern soul and southern gospel styles in the sprightly horn chart and bouncy rhythm, with Lawson hallelujah of a vocal sounding like he had been freed of a great burden and had seen the promised land—the defiance in the earlier Persuasions version has been supplanted here by an acceptance of his youthful impudence and the joy of deliverance. Ahead of the McCrarys’ swinging responsive retorts, he admits, casually, “I cannot make myself live forever/God knows I tried/I can’t even make one little flower grow…hold back the years/Lord knows I tried/one day you’re young/the next day you’re old…wellll…” At points in the number he even chuckles to himself, as if shaking his head at the indiscretions of youth to which he’s finally confessing. But the story of Mortal Man is not only the fresh takes on vintage material. With Robert Hunter, Lawson himself co-wrote one of the finest songs on the long-player, the country flavored “Woman in White,” to which he gives a tempered delivery designed to heighten the mystery of the esoteric lyrics. (The website devoted to annotating Hunter’s lyrics is going to have a field day with this one.) Eric Brace contributes a real beauty in “Time and Water,” a meditation on lost love with spiritual overtones and an ethereal soundscape to mirror the roiling, wounded emotions the lyrics limn—shimmering slide guitar, strings, forceful swatches of percussion, even an austere banjo part buried deep in the mix (all this at times evoking Daniel Lanois’ Sling Blade soundtrack)—and Lawson bringing it all back home by conjuring an image of a man at wit’s end, energy and spirit depleted but still hanging on to a scintilla of hope as, at song’s end, he sings ever so quizzically—because his quest for reconciliation has produced nothing tangible yet–“Will you be holding me as the morning comes?” The ensuing silence, hanging over the final query like a shroud, revealing nothing, emitting no light, renders a listener speechless, so powerful is the force of Lawson’s muted, plaintive cry. Among other new songs, a clear standout is Peter Cooper’s languorous existential reflection in a country-soul mode, “Wine.” Framed by acoustic guitar and Gunderman’s church organ, Lawson, in that exalted soft, tender voice he possesses, explores Cooper’s literate but decidedly conflicted attitude towards the libation in question (“wine, sweet as a berry/bitter as envy/soft as a song/oh, oh/it don’t make me feel better but it makes me feel different/gives me something to hold while I’m wondering where I went/fruit of the vine…bottle of wine…oh, oh…”). It’s a masterful balancing act he executes between expressing the song’s duality in a way that makes clear the enormous personal stakes in play here. Phil Lee and John Sieger give Lawson the beautiful soul ballad “I Hope That Love Always Knows Your Name.” The soundscape echoes Muscle Shoals and Memphis in its robust assemblage of strings, horns, electric guitar (Pisapia again, with economical, searing howls on the baritone), keyboards and hymn-like ambiance. Lawson knows this turf as well as any singer working today, and he doesn’t have to think hard to find the heart of the matter: here’s the august counselor offering a benediction of hope and happiness, apparently to a daughter about to go out into the world on her own—what he does with the lyric “You may never get to see/the effect that you have had on me/I’ll keep your picture in this picture frame/and I pray that love always knows your name” is simply to aim it for the deepest part of your soul and leave you with something important to ponder. Majestic and earthy, heartfelt, tender and deeply moving—Just a Mortal Man is a master class in basic human emotions in all their complexity and inscrutability. 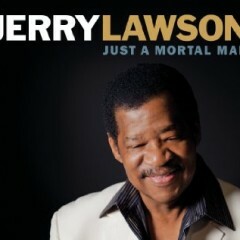 With the Persuasions Jerry Lawson made many great recordings, but Just a Mortal Man is his finest hour. No mean feat, this–and no mortal man this.